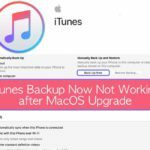 If you are experiencing significant issues, including crashes, problems syncing or importing CDs after the update to iTunes 10.1, you may resort to downgrading to iTunes 10.0. To do so, follow these instructions. Next, download iTunes 10.0 and run the installer. 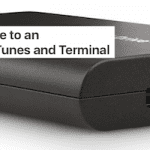 You may then need to recreate your iTunes library. Go to C:\My Documents\My Music. 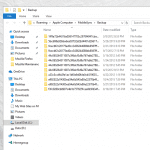 Backup the entire “iTunes” folder to a safe location. Using the Control Panel to uninstall the following: Apple Application Support, iPhone Configuration, iTunes 10, Apple Mobile Device Support, Apple Software Update and QuickTime. Rename the file iTunes Library.itl to something like iTunes Library.itl.backup. 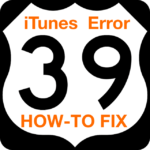 Download either iTunes 10.0 for 32-bit or iTunes 10.0 for 64-bit (depending on your system configuration) and install the software. 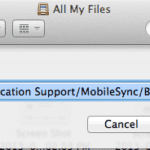 iTunes backup location: Where is the backup folder located? Are the setting/backed up restore point from my itouch will be deleted if I uninstall itunes 10.1? Do I need to back up those too? 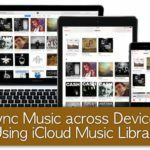 I’m having problems with my syncing..